Scott C. Gottlieb, Injury Law Attorney, has redesigned its website to make it easier for accident victims in Binghamton and surrounding areas to find information about their rights and options. When you’re hurt in accident or suffer an injury that was caused by another person, you need to find out as much information as you can about your legal rights and options. New York injury law attorney Scott C. Gottlieb has launched a new website to serve people in Binghamton and surrounding areas who have suffered injuries through no fault of their own. The website, http://www.scottgottlieblaw.com, features a new design that makes it easy to navigate through the site’s variety of resources, including the firm’s New York Injury Law Blog and its video library. The site also contains sections on the firm’s many practice areas. “When you’re hurt in accident or suffer an injury that was caused by another person, you need to find out as much information as you can about your legal rights and options,” Gottlieb said. “We hope our new website helps people to find the information they need. “But it’s also important for accident victims and their families to act on what they learn and, above all, to contact a lawyer who will work hard to make sure they collect the money damages they deserve,” the Binghamton attorney added. Practice Areas – A section that explains the law in the firm’s variety of practice areas, including car accidents, construction accidents, fall down accidents, medical malpractice and wrongful death. Frequently Asked Questions – A section that contains answers to an extensive list of questions that New York accident and injury victims commonly ask, including questions about New York’s no-fault insurance laws. Your Rights – A section that reflects the firm’s commitment to upholding the New York court system’s Statement of Client Rights. This includes the client’s right to have questions and concerns addressed and phone calls returned promptly. Our Victories – A list of results the firm has obtained for New York accident and injury victims, which illustrates the types of cases that the firm handles. Additionally, the new website contains an easy-to-use online contact form. Filling out the form can help visitors to schedule a free and confidential evaluation of their case. 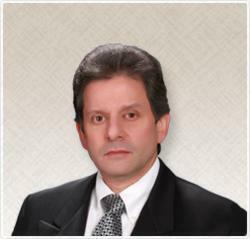 Scott C. Gottlieb, Injury Law Attorney, is a Binghamton accident and injury law firm that handles all types of personal injury and motor vehicle accident cases, including cases involving drunk-driving accidents, wrongful death, cancer misdiagnosis, dog bites, hunting accidents, birth injuries, brain injuries, construction accidents, fall-down injuries and insurance settlements. The firm regularly employs accident reconstruction experts, investigators, photographers and economists to assist in evaluating and preparing personal injury cases. The firm represents clients throughout New York, including Binghamton, Vestal, Johnson City, Endicott, Endwell and surrounding communities in Broome, Tioga, Chenango, Delaware, Cortland and Tompkins counties. For more information, call (607) 724-7700 or use the firm’s online contact form.